1. Providing an organization for recognized specialists in veterinary dermatology and for individuals who take interest in practice, research or the teaching of veterinary and comparative dermatology. 2. Providing further dermatological education for graduate veterinarians, veterinary students and nurses. 3. Encouraging and promoting improved methods of diagnosis, treatment and prevention of skin diseases in animals. 4. 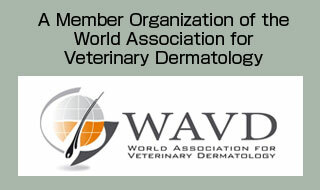 Encouraging the exchange of clinical and scientific information for veterinary and comparative dermatology. We welcome applications from new members who share our interest!